The way to awaken as an Outrageous Lover is the practice of writing Outrageous Love Letters. The ultimate awakening of the Outrageous Lover is the realization that your life itself is an Outrageous Love Letter. This path and practice will be fully described in the Outrageous Love Process in last section of the book. Outrageous love is awakened through the practice of writing outrageous love letters. Evolution becomes conscious to itself through your awakening to the realization that your life itself is an outrageous love letter. You are messenger that forgot your message. Your message is You! You awaken by remembering that you are the personal face of the evolutionary impulse. Through your own evolution of consciousness you participate in the evolution of love. To awaken as an outrageous lover is to become intimate with reality itself. You recognize that you are living in an intimate universe in which you are seen, witnessed, addressed and called. You are called to realize that existence needs you as an intimate partner. Reality needs your service. Your Outrageous Acts of Love become the text of the Outrageous Love letter which is your life. Your life is your Outrageous Love Story. Living your life as an Outrageous Love letter comes from the realization that all of existence needs your intimate witnessing and partnership. By awakening as the evolutionary impulse and activating your capacity for outrageous acts of love, you come into intimate union with the universe, and the universe comes into intimate union with you. Wake up to the realization that you are an Outrageous Love Letter. This is the core transformation of Identity, which changes everything. You can access Outrageous Love even when you are not spontaneously feeling it, because the practice of writing Outrageous Love letters itself kindles Outrageous Love. The practice emerges from the mystical Song of Songs traditions, which itself is, in our understanding, a specific form of outrageous love letter. An outrageous love letter, which accesses Eros, is fully personal and yet radically transpersonal at the same moment. We have written thousands of outrageous love letters, to ourselves, to each other, to those in our circle, to God, to the universe itself. Perhaps you think that to love outrageously is beyond your capacity. Only saints or enlightened beings love outrageously. It is time for the democratization of enlightenment. To love our way to enlightenment however we need to also democratize of outrageous love. There is no prophet to wait for. Rumi is not going to write your letter for you. The future is you. The old top-down world of religion and government is over. There is no messiah coming. He has already come. She is you. These are not words of love parading in pretty costumes. This is the deepest truth of the cosmos that emerges from a profound reality consideration of where we are today, as individuals and as a collective. The practice is simple. All you need is your imagination. As one psychological mystic wrote about imagination, “God may be a figment of your imagination but your imagination is a figment of God.” When you write Outrageous Love letters to the imaginary beloved you both arouse outrageous love in yourself and you invoke the beloved in your actual life. The practice that awakens your deeper identity as an outrageous love letter is no less and no more than writing outrageous love letters yourself. We usually rely on the great poets or sages for words of love. We read the Sufi poet Rumi or others like him to find the love that lives in us. It is the time however to move beyond quoting the words and heart of others. It is time to democratize outrageous love. In the outrageous love letter practice you awaken the Unique Self outrageous lover that lives in you and as you. You learn the practice of writing outrageous love letters, to those close to you. To those you may not know well but are part of your life. And when you are ready, even to people you feel are your adversaries or competitors. This practice liberates the unique outrageous love that is you, and awakens your capacity to commit outrageous acts of love. The practice emerges from the mystical Song of Songs traditions, which itself is, in our understanding, a specific form of outrageous love letter. We have, together with other members of the community, have engaged and developed the practice of “Song of Songs Outrageous Love Letters” based on the sacred principle of Eros being the central quality of reality. An outrageous love letter, which accesses Eros, is fully personal and yet radically transpersonal at the same moment. We have written thousands of outrageous love letters, to ourselves, to each other, to those in our circle, to God, to the universe itself. Now you are ready to play the most outrageous game possible. Outrageous love becomes conscious through you. Outrageous Love is always evolving, because the outrageous Lover is always expanding her heart. Following the laws of love and writing outrageous love letters brings us to the final stage of awakening. The last stage of your awakening is when you realize that your life is an outrageous love letter. Your sacred autobiography is a love letter from God to God bearing your name. Your story is an outrageous love letter from the infinite to the finite sealed with your signature. But it goes still one level deeper. All of reality is really an outrageous love letter from God to you. Remember the God you don’t believe in doesn’t exist. Read God, the Tao, the reality principle, the evolutionary impulse. God’s letter however is not merely a form letter. It is a personal love letter to you. Your radical irreducible uniqueness is reality’s personal outrageous love letter to you. It took the evolutionary impulse 13.7 billion years of synergy to write your personal letter. It’s content, texture and tone are utterly unique written and intended only for you. This is the outrageous love letter from infinity to you written in the script of your Unique Self. When you awaken and live your Unique Self expression, committing outrageous acts of love – as an awakened outrageous lover – then you are writing an outrageous love letter back to God. Imagine God, the evolutionary impulse sending an outrageous love letter to you in the form of your atomic, cellular and spiritual signature. Feel her yearning over the millennia. First she waits for the letter to be delivered over billions of years. Then you are born. The clock starts ticking and SHE waits with bated breath and virtually desperate yearning to receive your return letter. Imagine her going to the mailbox every day, opening the box to see if a letter has arrived. The letter that you write back to God is Your Unique Self. When you awaken to your Unique Self you are awakening as an irreducibly unique expression of the Zero Point field. The God field, the field of outrageous love intelligence. You are awakening into your divinity. We end as we began. Your life story is an outrageous love letter from God to God signed with your name. This is the realization that changes everything. You begin to be lived as love, Outrageous Love. You begin to live the outrageous life that that you imagined in the dreams that you long ago forgot. You begin to commit outrageous acts of love. Outrageous Love gives you direct and sustained access to a level of aliveness, wisdom, Eros and joy that you had not only forgotten. You forgot that you had forgotten. Outrageous love is the memory of your possible future. This is called by the Sufis the supreme identity with God. Or by mystical Christianity as living Christ energy. Or by the kabbalists as liberated God consciousness. Let’s begin by asking ourselves, who is God? First, it is always worth remembering that the God you do not believe in does not exist. We are not talking about the Santa Claus god or the older man with the long white beard sitting on a throne. Here we must return to our conversation on intimacy. Let’s feel into this, for we cannot merely think our way into intimacy. Let’s remember what we learned in law five on the nature of intimacy. The deepest realization you can have as a person is to know that you live in an intimate universe. Intimacy means to be seen, recognized, and witnessed. We are all systematically misrecognized. This is the pain of alienation. It is the suffering, which comes from being invisible. Intimacy is the opposite of being invisible. Invisible man is not intimate. To be intimate is to be known. Intimate relations in the sense of sexual relations are described in the sacred texts as knowing. Hence, the phrase, carnal knowledge. To live in an intimate universe is to be known. It is to know that you are seen and to know that you are known. But witnessing does not exhaust intimacy. Intimacy also means to be addressed. True intimacy is to be personally addressed. That is why when you fall in love you feel – at least for a time – intimate with all things. Because falling in love is the feeling of being personally addressed by the cosmos. If you are truly intimate with someone you address them. You engage in dialogue. To live in an intimate universe is therefore to know that the universe addresses you. It is to hear the voice that calls your name. In one sacred text the following situation is described. You are not sure about whether to quit your job. You are wrestling with the decision internally. You then go to grab a cup of coffee at a neighborhood café. The couple, at the next table are talking about why it is so critical for her to quit her job. The outrageous love mystics say that this is the universe addressing you. Of course you cannot prove that this is true in logical categories. This intimate address is called the whisper of God. The whisper is intimate. Shouting virtually is always a sign of the failure of intimacy. The whisper is heard only by the Beloved, and those that draw very close. The deepest intimacy however is when the voice falls silent. Sitting together, perhaps holding hands, in the silence of presence, is sometimes the deepest form intimate contact between beloveds. To hear the voice of outrageous love in the sound of silence is an ultimate form of intimacy. Sometimes the love is so deep that it can only be held in the silence. Words are too contracted to hold the infinity of intimacy. Now we come full circle back to God. God is the infinity of intimacy. The human being, erotically merged with source, is God’s unique intimacy. Follow the Divine logic of intimacy. Without your love, that part of the world will remain non-intimate. That part of the world will remain alienated and cold if you do not awaken to your true nature as an outrageous lover. The field of intimacy, of outrageous love awakens uniquely in you. It is the nature of intimacy to always be unique. To awaken as an outrageous lover is to know that there is a dimension of reality, which in this very moment awaits your love. The world is a waiting beloved. You are a waiting lover. A very particular dimension, situation or aspect of reality awaits your singular quality of loving. That corner of the world is even now pining for your love, and yours alone. That is what it means to be God’s unique intimacy. And as we have already seen since the word is one unified field, any part of the field, which is cold and UnLove affects the entire field. You have outrageous acts of love to commit that can be committed by no one else other then you, that ever was is or will be. Your Unique Self has outrageous acts of love to commit that heal a corner of the world that is Un-Love, which can only be engaged and healed by you. You are God’s irreducibly Unique Perspective. You are God’s irreducibly Unique Intimacy. Both as a unique perspective of the evolutionary impulse and as God’s unique intimacy, your life address a unique need in the cosmos that can only be met by you. We return again to another version of our core questions. 2) Are you willing to play a larger game? Yes! 3) What should I be doing? Committing your irreducibly unique outrageous acts of love. 4) What does it mean to love? To clarify your perception so that God can see through your eyes. Once this realization takes hold we are moved to identify the core obstacle to being lived as outrageous love and committing outrageous acts of love. What are the obstacles to intimacy? The first obstacle is our personal wounds and contractions. The second is the ingrained sense of obligation to do good imposed on us by external codes of law and conduct. Truly transformative and effective outrageous acts of love must emerge from a genuinely felt sense of outrageous love. Only that which wells up from the essence of our desires has the power to change our internal and external realities. For as we saw in law three, desire is the source code of reality itself. Third is our inability to access the power of outrageous love. The practice of writing outrageous love letters is the method to transcend all three obstacles. In the sixth law of love, the law of practice we begin to see how to overcome all three obstacles. Wounds cease to be obstacles, rote obedience to external codes is dissolved, and the storehouse of outrageous love is opened, through the sustained practice of writing outrageous love letters. We introduce a paradigm shifting evolutionary practice, the practice of writing Outrageous Love letters. This is not merely a personal love letter practice but rather a practice, which grants access to the core outrageous love at the center of reality known to all the great scientists of spirit. It is our deep knowing that this is the next great practice of spirit. The first practice was prayer. The second practice was meditation. The third practice is writing outrageous love letters. Prayer addresses the second person of the divine. Martin Buber referred to the relationship to this second person of the divine that lives both in the divine other and the divine other as it lives in other beings, as an I-Thou relationship. Meditation awakens the first person of divinity as it lives in you. This first person realization lives in all the great mystical traditions. It is classically referred to in the Hindu Vedas as Tat Tvam Asi, Thou art that. In writing outrageous love letters you access the quality of outrageous love which forever alters your relationship to your wounds. The following is an excerpt from my personal diary describing the practice of writing outrageous love letters. I began the practice of outrageous love letters after experiencing a wrenching tragedy in my life. Who Are You? In the language of Unique Self mystic Isaac Luria, You are a unique letter in the cosmic scroll. Meaning, You are an outrageous love letter. Your life, your story, your sacred autobiography is an outrageous love letter. Do you understand how that shifts your self-perception? Who am I? I’m an outrageous love letter. You know how that feels, when you really get that? 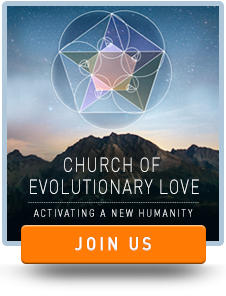 That’s the cellular shift in identity that emerges from the great dharma of outrageous love. Who am I? I am an outrageous love letter. That’s who I am. My life is about sending that letter into reality. The larger context is that all of reality, the entire ecosystem is an outrageous love letter, from the infinite to the finite. That’s what it is. You are a full and unique letter within this larger script. And all of reality is waiting expectantly, eagerly for your letter. Do you know what it feels like to be a lover waiting, yearning for a love letter from your beloved? That is the inner feeling of reality in personal relationship to you. All of reality yearns for your highest most authentic incarnation of your unique self. All of reality yearns for your outrageous love letter. That’s what the New Testament meant when it said, that reality is logos, the word. The word is the sacred text. Reality is a Sacred Text. Which is another way of saying that reality is an outrageous love letter. The outrageous love letter of reality is what in mathematics is called a fractal. That means that there in every part there is the whole. Every individual human being is a unique outrageous love letter that is both part of the whole and the whole itself. A holograph in which every part contains the whole and the whole contains every part. Pathology comes from the myth of separation. The illusion that your story is separate from and insignificant to the whole. The opposite is true. In your story is the whole. To awaken as Unique Self is to realize that we are a unique letter in the cosmic scroll. And that in each letter the whole is contained. It is for that reason that every self has infinite dignity value and worth. That’s what we refer to as your sacred autobiography. Your story is the Sacred Text of your life. Your Sacred Autobiography. The way you read sacred text matters. That is why the injunction in reading your sacred biography must always be: Mythologize, don’t pathologize. Your sacred autobiography, is the great myth of your life. You are its legitimate hero. 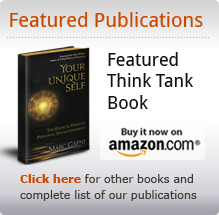 To awaken to your Unique Self is to awaken to the irreducibly unique love intelligence that lives in you, as you and through you. It is to awaken into your capacity to commit the outrageous acts of love that are yours and yours alone to commit. It is to awaken as an outrageous lover. It is to awaken as the hero in your own life. You are the logos, the word. You are an outrageous love letter. In the old world, there were Sacred Texts which addressed you. Now if you really get the depth of the evolutionary shift that we are describing, you understand that you are a sacred text. Your sacred autobiography is your sacred text which is the outrageous love letter you were born to be. You are the logos and the logos is God. In living your Unique Self you live as source. In writing outrageous love letters your core identity as an irreducibly unique expression of outrageous love is recovered and reclaimed. To be alive and awake is to feel the power of the words “I LOVE YOU” lighting you up every day. But we have forgotten what the words mean or how they feel when they are truly awake in us. Learn a core spiritual practice that has the proven power to transform and connect you to LOVE powerfully in a BIGGER way. Enter your name and email here to learn the art and practice of writing an Outrageous Love Letter in this seven-minute video tutorial. Start now.